Prof Davies is a Consultant Endocrinologist at the University Hospital Wales. He has an established reputation in medical education particularly in online learning, having been the founder of OnExamination.com and setting up a number of diploma courses. He has also been involved in establishing training courses for weight management in community pharmacy. His clinical interests include hypogonadism, growth hormone deficiency and obesity. He has published over 100 peer reviewed publications and his research interests include the application of novel technologies in delivering medical education. Courtenay is a company founder, technologist, business analyst, systems architect and project manager with extensive hands-on expertise. After graduating with a first-class honours degree in Business Information Management, Courtenay established a web-application development company, MAWR Ltd, specializing in risk assessment management software. After disposing of his concern in MAWR Ltd, he was appointed as C.T.O. at 'OnExamination'. 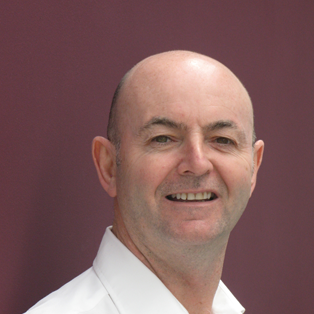 As the key decision maker for the planning, design and development of OnExamination's technical infrastructure, Courtenay was instrumental in revitalising their failing computer infrastructure. These factors allowed OnExamination to evolve from a small speculative business to a larger one that was then integrated within the BMJ Group when it was acquired in 2007. Quickly promoted within the BMJ Group to the role of CIO/Deputy Managing Director, Courtenay was directly responsible for delivering 60% growth in sales while maintaining a 40% margin. Today Courtenay is the C.O.O. of Diploma MSc. He is responsible for the organisational operations/staffing, sales and marketing, technical infrastructure, and business strategy. Sarah has much experience working in business, after completing her Maths degree she established a career in Investment Banking and Management Consultancy before moving on to Medical Education. With On-Examination, she project managed the launch of the Cardiff University Diabetes Diploma then launched the University of South Wales Postgraduate Diplomas and MScs in 2010. Sarah now heads up the Business development department for the business. Sarah thrives in establishing and developing new projects and is always looking for the next educational opportunity to develop the knowledge and skills of healthcare professionals. In her spare time she enjoys dancing Ceroc. Chloe began her journey at Diploma MSc in Student Support in May 2017. She has progressed through the company and is now working as the Course Development Co-ordinator for Business Development. Chloe supports the Head of Business Development in liaising with universities and other bodies with respect to documentation and validation events, this includes filling out and submitting relevant documentation for validation of new and existing courses as well as arranging focus groups and liaising with critical friends to ensure every course is of a high standard. As a Cardiff University politics graduate Chloe has a keen interest in her local party’s constituency. She is an avid Marvel film enthusiast with her personal favourite being “Guardians of the Galaxy” and is particularly fond of cats. 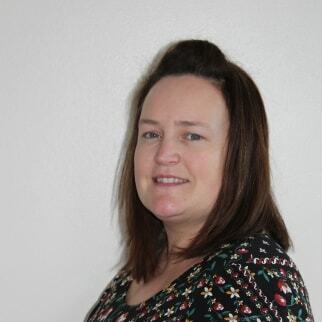 As Head of Course Resourcing at Diploma MSc Olivia oversees quality, course resources and tutor training. Olivia brings extensive experience to the team and makes sure all aspects of Diploma MSc’s provision is of the highest quality. In her spare time Olivia enjoys cooking, volunteering with local animal welfare charities and going to see live music and comedy gigs. Rhiannon joined our Tutor Support Team in October 2018, responsible for recruiting and training medical professionals to tutor, author and edit our courses, ensuring our students are learning from the best. Rhiannon is new to the Diploma MSc team, but her ‘can do’ attitude has meant she's been able to hit the ground running. Always with a smile on her face, she injects a bit of sparkle to the office! Outside of work Rhiannon is a thrill seeker who loves spending her spare time out on the motorbike exploring new places and creating her own adventures. When she is not out writing her own destiny she enjoys curling up in front of the fire with a good book. Clelia is one of the latest additions to the Diploma MSc Team. She joined us in January 2019, but she quickly became an important part of our group. As Tutor Resource Officer, Clelia supports the Quality Manager in managing and coordinating our tutors giving them support and assistance in their daily activities, from training to marking. Born in Italy, Clelia in now living in the UK, where she enjoys hiking in the countryside and drinking black tea. 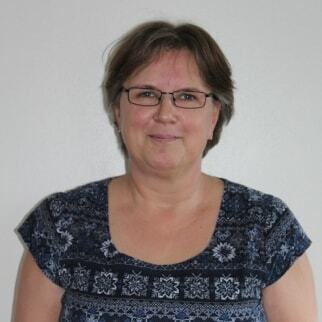 Catherine is the Manager of the Student Support Team and has worked for Diploma MSc since 2014. As partner link officer for the University of South Wales, it is Catherine's responsibility to attend boards at the University and is responsible for managing her team, supporting tutors, course directors and students. She is proud of leading such a dedicated team and providing high-level support to all students. In her spare time, Catherine enjoys music, reading, and socialising with her friends and family. Keshisha joined the Diploma MSc Team in July 2018. She works closely with the Student Support Manager on day-to-day tasks and helps to provide essential support to both PgDip and MSc students in a wide variety of subjects. Keshisha has many years’ experience working within the healthcare sector, providing her with a more in-depth knowledge and understanding of what the students are studying.This experience is what pushes her to help the students achieve their potential. Chantelle plays an important part in the diligent and dedicated Student Support Team. Handling student queries with efficiency and a smile, she's the first to pick up the phone and help someone in a time of need. Still quite new to the company, Chantelle has proven herself -indispensable and has already started to have a positive influence on the student’s journeys. Osian has been working at Diploma MSc since October 2018. He works well within the Student Support Team, assisting students from both PgDip and MSc Courses to feel encouraged and reassured in all aspects of their studies. He has found a role that challenges him and has allowed him to develop both professionally and personally. Osian enjoys watching and playing football. He is an avid Cardiff City supporter. He also enjoys road cycling and occasionally plays online multiplayer games. Louise has recently joined the Student Support Team from our sister company, You Can Clinic. Having proven herself as reliable, competent and friendly, she brings with her a refreshing attitude and always has a smile on her face. We're delighted to have Louise on board and can't wait to see how she develops into her new role, keeping things in order and offering guidance to any students in need. Lynsey has been working at Diploma MSc since December 2015 and is the Admissions Manager. Lynsey’s role is to ensure the smooth running of the Admissions Team who are the first point of contact for all queries regarding the courses. The team provide assistance to potential students during the application process to ensure the experience is stress-free. The majority of our students are international which keeps her job very interesting as she gets to speak with people from all over the world on a daily basis and from various backgrounds. Lynsey is proud to be part of such a wonderful and caring team. In her spare time, she enjoys spending time with her family and is kept very busy by her children. Linda is brand new to our Admissions Team and has started right at the deep end with a cohort looming and student numbers at an all-time high. Despite this she's already proven herself worthy of such responsibility and is learning fast. With a background in care and as a medical receptionist, she's feeling right at home amongst our applicants and we're excited to have her aboard! Tom has been working in our Applications Team since May 2018 and has proven himself to be an absolute asset to the team. Hard-working, polite and efficient, Tom comes in and gets straight to work to ensure that all our applicants have as smooth a journey as possible. He understands that the initial steps in taking an online course can seem daunting, so does everything he can to support the process under the guidance of his marvellous manager, Lynsey. Sarah joined Diploma MSc in June 2018 and heads up the Editorial Team - working with authors to provide course and resource content for both the Diploma MSc and StudyPRN platforms. Before joining us she worked in administration in the Paediatrics Department for Powys,based at Brecon War Memorial Hospital, where she developed a high regard for the many HCPs involved in comprehensive care. In her spare time Sarah reads and reads and reads, most particularly SF. Catherine began working at Diploma MSc in January 2015 as part of the Editorial Team with her main responsibilities including co-ordinating the authoring of our online courses. Catherine really enjoys working in a busy friendly team and relishes the challenge of helping to bring our courses to life and feels it's a fulfilling role to be part of a company that aims to improve the knowledge of medical professionals worldwide. Like most of the team, her highlight to date has been winning 'Best Online Distance Learning Programme' at the e-learning awards. Catherine's day to day work is very varied and she loves the opportunity of working alongside authors from a range of medical specialties and backgrounds. In her spare time Catherine loves to go running and to spend time with her family and friends. Josh joined the Diploma MSc team in June 2018 and soon became part of the family with his quick wit and kind nature. Having rapidly proven himself a crucial part of the team, Josh recently made the leap from Business Development to our Editorial Team and is now reviewing and commissioning our course material. His keen eye for detail and hard-working attitude saw his new team welcome him with open arms. The office certainly wouldn't be the same without him! Leila has been working at Diploma MSc since March 2018. She originally started with the recruitment of authors, tutors and course directors, but has since moved into the Marketing Department after picking up skills in selling the business. Leila has been in Cardiff for almost a year and is enjoying the new city she calls home. Chris is the Finance Administrator here at Diploma MSc and has a number of responsibilities that include dealing with student payments, accounts and invoices. Chris is the first point of contact for any questions students may have about how to make a payment or general queries about their course fees. Since joining the Diploma MSc team, Chris's main highlights have been to become part of such a well-functioning, friendly (and not to mention) award-winning team. In his spare time Chris enjoys travelling to Old Trafford to watch Man United play, going to the gym and is also a qualified Personal Trainer. Josh plays a crucial part in our Technical Support Team, offering guidance and advice on all things tech. He's rarely thrown by a request, but if he is, he does everything he can to learn more and fix the problem as quickly as possible. His calming and organised nature makes him a perfect fit for the role and no job is too big or too small. Josh is currently working with us part-time while he studies, and our only regret is that we don't get to see him every day! Eduard has been working at Learna since November 2018. He works alongside our IT and Marketing Teams to ensure a smooth and fresh looking website is available for both prospective and current students. Ed strives to ensure our site is visually appealing and user friendly. Ed loves binge watching tv shows and spending his time with his girlfriend going away for weekends and to music concerts. Alan graduated from USW in 2018, as a Bachelor of Science in ICT. After graduating he joined the Diploma MSc team as Moodle Administrator. 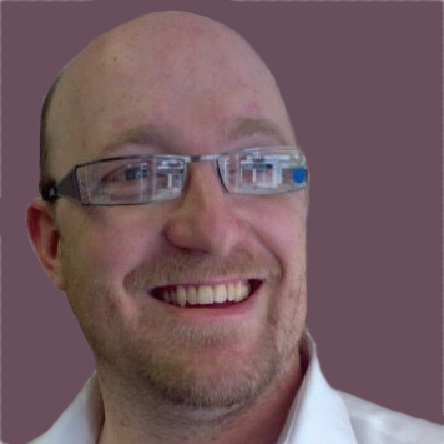 Alans’ skills in IT help him maximise the efficiency of his work with the online learning platform and deliver the project as professionally as possible. 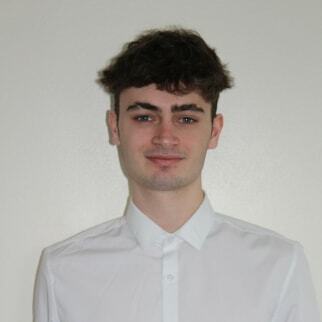 He works closely together with the Editorial, Student and Tutor Support Teams to give the users the best experience. In his previous life he was a freelancing web-developer with self established skill set in programming languages and graphical design. In his free time Alan enjoys digital music production, graphical design, animals and several outdoor activities.